Picking the right windows for your home may seem like an easy task, but it can quickly turn into a much more complicated process. Vinyl – If you are looking for a more “homey” appeal, vinyl windows take the cake. There are typically many different finishes to choose from; however, vinyl windows cannot be painted, so finding an exact color to match your existing decorative painted window surface may be difficult. Aluminum – Aluminum windows provide a more modern look with thinner frames. Unlike vinyl, these window frames can be painted or power coated, which allows for easy color matching; however, it is difficult to get the look of wood on aluminum with a coating treatment. Aluminum windows are very popular for larger facilities due to their modern, light-weight design. Vinyl – Vinyl is durable, difficult to dent and resistant to cracks and scratches. Beyond this, vinyl is not prone to fading or pitting, making it ideal for most homeowners. Aluminum – While aluminum is also resistant to scratching and cracking, the lightweight nature of the material makes it more likely to dent. Nevertheless, aluminum is a strong material and is typically chosen by homeowners living in hurricane-prone areas due to its overall impact resistance (source). Additionally, aluminum windows tend to provide excellent noise reduction when installed with impact-resistant glass. If window safety and impact resistance is your top priority, aluminum windows may be your best option. Remember, all windows require some level of maintenance. How much work are you willing to put in to your windows? Vinyl – Typically, vinyl windows involve less maintenance than wood or aluminum. There is no need to repaint or re-stain, therefore the cost is generally lower and cleaning is very easy. Aluminum – While aluminum windows are not prone to rot, mildew and mold, they do require frequent lubrication to ensure smooth sliding and minimize the chance of pitting inside the tracks (source). Vinyl – Vinyl windows are known for their energy efficiency. These windows provide the best thermal break—reducing the amount of heat entering the building from outside. If energy efficiency is a top priority when it comes to your windows, vinyl is certainly the best choice. Aluminum – Conversely, aluminum is not a particularly energy efficient option; that is, without additional protection installed. However, aluminum windows are easily recycled. Still not sure which windows are right for you? At XO Windows, we provide the experience, information and guidance you need to make the right decision. 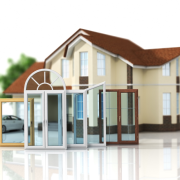 Additionally, we offer the best window installation and supply in Arizona—so you can rest assured that you are getting top-of-the-line products from experienced professionals. 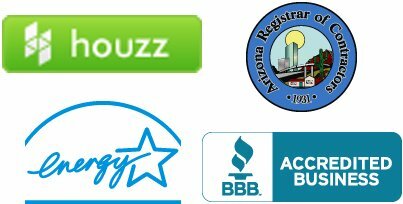 For a FREE estimate or for more information about our products and services, call us today at 602-396-4825—or contact us here.